A month ago, many NJ residents felt July was quite cool, while in fact it was just 0.4° below the 1981-2010 mean. Such was not the case in August, which truly was on the cool side. The statewide average temperature of 71.0° was 2.4° below average. It ranks as the 32nd coolest since 1895. Even when compared to the 1895-present mean, the month was 1.5° below average. Days with a maximum temperature of 90° or greater were hard to find, certainly a characteristic of the summer of 2014, which will be discussed later in this narrative. Precipitation varied widely across the Garden State in August, rather typical of a summer month in these parts. Individual station totals ranged from 12.33” in Lacey Township (Ocean County) to 1.01” in Hillsborough (Somerset). When monthly totals from several dozen long-term stations were averaged together, the statewide precipitation was 4.39”. This is 0.18” above the 1981-2010 mean (0.26” below the 1895-present mean) and ranks as the 53rd wettest of the past 120 Augusts. It must be noted that the heavy rain that fell after 8 AM on the 31st is not accounted for in most August station totals. For the monthly state average, only several stations that observe at midnight have their full August 31st totals included, while monthly totals at most other National Weather Service Cooperative stations only run through the morning of the 31st. For more on this observing practice, see the April 2014 report. With more than a third of the 2014 Atlantic hurricane season behind us, many may assume this season has been quiet. However, the two hurricanes already named mark the first time since 1992 when the first two named storms have reached hurricane strength and the first time there have been two hurricanes by this date since 2008. With the peak of the tropical season yet to come, the question is whether the heart of the season will be active or quiet. The National Weather Service’s Climate Prediction Center recently updated their seasonal forecast, projecting only a 5% chance of an active season and 70% chance of a less than normal one. Still, it only takes one storm to seriously impact NJ, so we can never let our guard down. With this in mind, here is a brief history of memorable tropical cyclones affecting New Jersey and a summary of the frequency of storms through the hurricane season. Extremely heavy rain drenched portions of the Mid-Atlantic during the daytime hours on August 12 until after sunrise on the 13th. 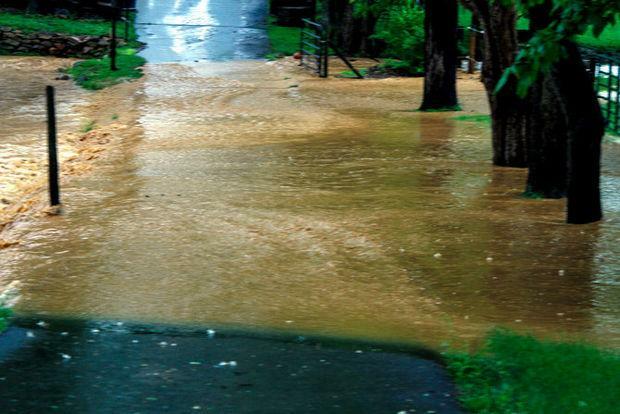 Starting off in the Washington-Baltimore area and moving up into central Long Island, a narrow ribbon of rainfall exceeding 5”, and over 10” in a few locales, resulted in flash flooding that resulted in water rescues and many damaged roads and vehicles. 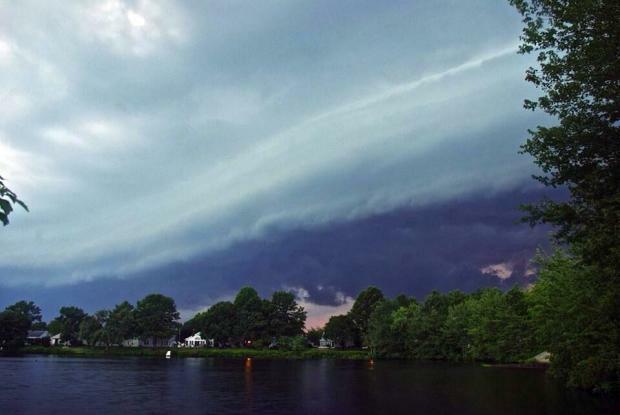 Excessively heavy rains, occasionally accompanied by lightning, traveled up a frontal boundary that was associated with an unusually strong August low-pressure system situated over the Great Lakes. The atmospheric impulses riding up this front joined forces with abundant atmospheric moisture (in the top 1% for the region) to bring multiple inches per hour rainfall rates…for multiple hours. 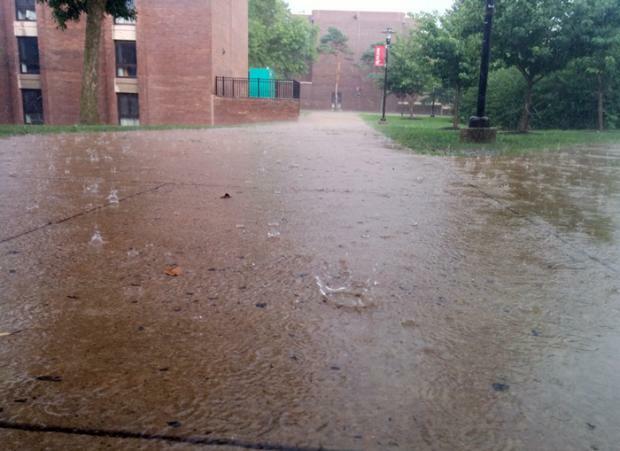 The heaviest rain was situated within less than a 10-mile wide path. Within 20 miles on either side, totals fell off to a mere inch or two, or even less. Such is the nature of these events, where despite the abundant atmospheric moisture, there is a finite amount of water available. The dynamics concentrated the atmospheric lifting, thus the condensation of the majority of the moisture and resultant rainfall, while adjacent areas balanced out the lifted air with subsiding air that greatly limited rainfall totals. 1) The first half of the month was above average, while the more recent weeks were on the cool side. Our perceptions are biased toward the most recent. 2) People have yet to “recover" from the cold start of 2014. The dubious media ramblings of the “polar vortex" returning to the eastern US in mid-July fueled these thoughts. 3) The most recent four NJ Julys all rank in the top six for warmth over the past 119 years. This was an amazing run of hot Julys. 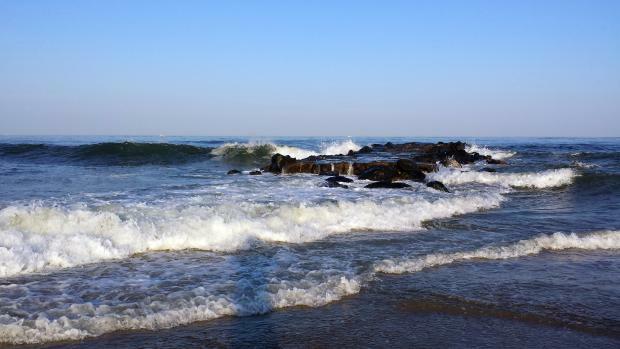 4) Those sticking their toes in the Jersey surf in early July were shocked by water temperatures in the 50°s and may have equated this to the cool July atmosphere. The cold surf was actually indicative of persistent southerly winds that brought atmospheric warmth. This wind flow led to coastal upwelling that pushed warmer surface waters offshore and introduced cool deeper waters to the surf zone. Another comfortable mid-summer air mass is destined to invade the Garden State this week. This arrives on the heels of several other mild, dry air masses that have contributed to making this a rather average July in the temperature department. While many may think that this has been an exceptionally cool summer, it has not. However, given that the most recent four Julys all ranked within the top six for heat dating all the way back to 1895, all are forgiven for any misperception! The overall pattern that has led to temperatures more often being on the cool than than warm side of the ledger since last fall is one of pronounced waviness in the jet stream, with a resultant tendency for a ridge (northward swing) in western North America and a trough (dip in the jet) in the east. This allows cool and dry air to infiltrate our region, with warm and humid air kept at bay to the south. It has also kept the west in severe drought and plenty warm. 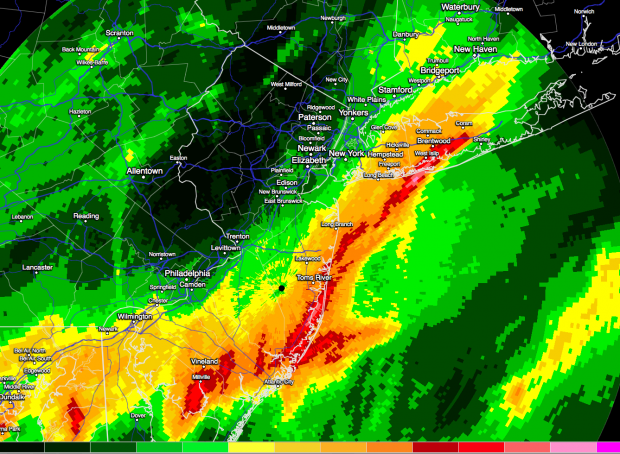 The past week has seen localized soaking rains across much of NJ, though not everywhere has gotten clobbered. The map below shows rainfall totals from Sunday morning the 13th through the morning of the 16th. Over this roughly 72 hour interval as much as 8.52” fell in Howell Township (Monmouth County), followed by Belmar (Monmouth) with 7.42”, Wall Township (Ocean) 7.22”, Millstone Township (Monmouth) 5.98”, and Raritan (Somerset) 5.42”. To demonstrate the local variability of the precipitation, four Bridgewater (Somerset) locations received 5.09”, 4.55”, 4.41” and 3.88”. Differences were even more pronounced over distances of several tens of miles. For instance, only 20 miles from Howell, rainfall totaled just 0.89” at Seaside Heights (Ocean) to the south and 2.42” in Rumson (Monmouth) to the north. Statewide, the first six months of 2014 averaged 45.8°. This is 2.2° below normal and ranks as the 31st coolest since 1895. It was the coolest start since 2003, which was 45.0° and ranked 15th. Before then you have to go back to 1982 (45.3°), which ranked 20th. The chilliest was 1907 at 43.2°. 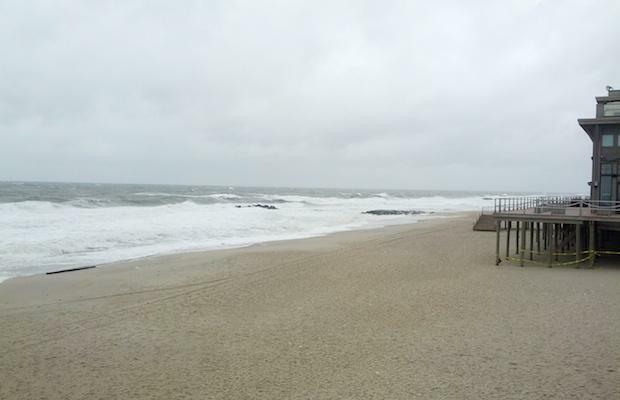 Precipitation (rain and melted snow) averaged 24.76" across NJ from January through June. This total is 2.11" above normal and is 26th wettest. Since 2003, four January-June intervals have been wetter, including last year. 2011 ranked one notch drier at 27th. 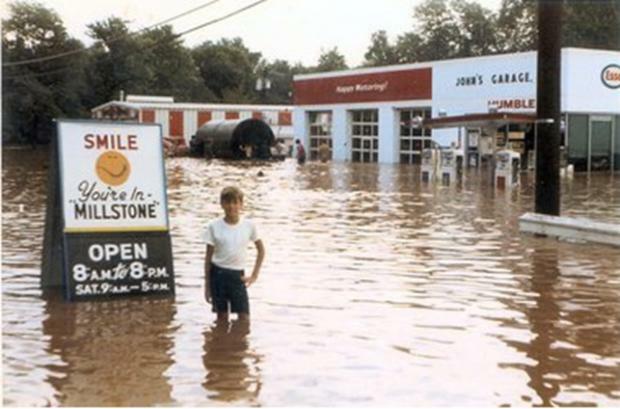 The wettest first half of the year was 1983 at 32.51". The Fourth of July embodies the meaning of summer. 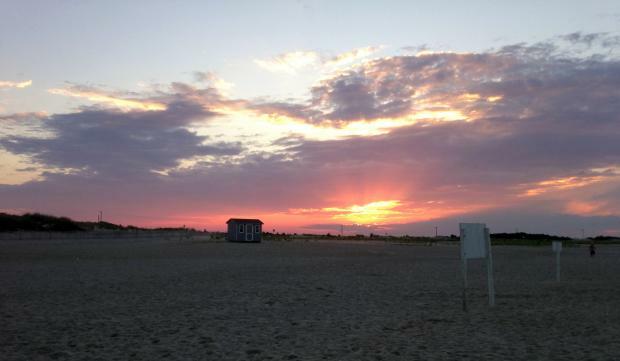 Whether on a serene beach in Barnegat Light or in a crowded suburban backyard, New Jerseyans (and all Americans) come together for the day to celebrate our nation through excessive eating, relaxation, fireworks, and sporting the red, white, and blue. We welcome the chance to barbeque with family and friends, and just like any gathering, there is a family member you avoid... Maybe it's the uncle that eats all the food... Or the aunt who chews your ear off with anecdotes... This year, however, you'll have to keep an eye on Mother Nature. This Friday forecast looms ahead of us with a chance of showers, which is nothing unusual. These storms look as though they should pass around noon, as a cold front advances through our region. However the impending impact of separate tropical system is far from the usual, as Tropical Storm Arthur was officially confirmed Tuesday morning. As of Wednesday afternoon, Arthur is sitting just off the east coast of Florida and is predicted to accelerate north along the coast reaching Nova Scotia by Saturday. There is a possibility for landfall in North Carolina’s Outer Banks as a hurricane on early Friday morning before turning northeast during the day due to aforementioned front pushing it off the coast. With a bulk of the storm activity on the east side of the circulation, it will most likely not impact our area with rain as it turns away from the coast. On July 1, Rutgers University officially becomes a member of the Big Ten Conference. In doing so, the Scarlet Knights join thirteen other schools in the Big Ten, bringing with it "new opportunities for academic collaboration and athletic competition." In addition to a long-standing tradition of outstanding athletics and academics, 10 of the 14 universities in the Big Ten are home to their respective state's climate office. Each state climatologist serves as a focal point for all activities pertaining to the weather and climate of their state. The Office of the New Jersey State Climatologist at Rutgers University is proud to be among some great climatological company in the Big Ten. In the spirit of that friendly, scholastic competition, we are putting the 14 Big Ten schools head-to-head in a weather and climatology showdown! Which school in which city and which state is the hottest? The coldest? The wettest? The snowiest? Click to find out! The record book on the winter of 2013-2014 officially closes on June 30. Given the recent streak of hot weather, and the summer solstice this Saturday, we're confident it's safe to run the calculations on seasonal snow totals a few days early. 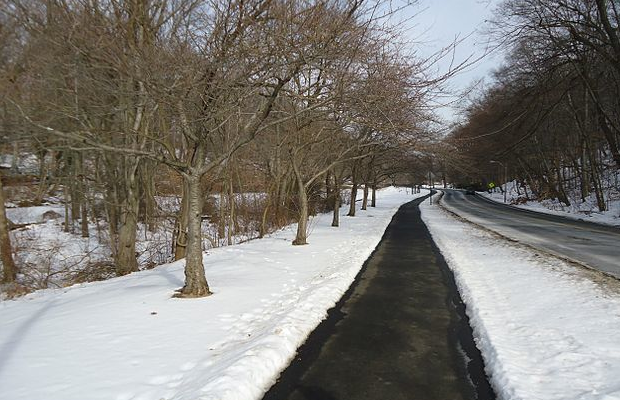 Indeed it will be hard for many New Jersey residents to forget this very active, cold, and snowy winter. From first flake to last, this past season ranked 7th snowiest of the past 120 years. The statewide average snowfall was 54.3”, which is 28.4” (or 210%) above average. The most snow fell up north but ranked lowest of the three regions (14th) due to its normally higher seasonal average. The south had the least snow but ranked 9th highest. This was the third season on record that each of the three divisions recorded over 50"; the other two occurred in 1898-99 and 1957-58. All regions shared the snow load similarly through January. Snow was more plentiful in northern and central areas in February. The situation was reversed, exceedingly so, in March, when three accumulating events impacted the south but missed the other two regions. Mostly cloudy, with a low around 56. Breezy, with a south wind 18 to 21 mph. A chance of showers, with thunderstorms also possible after noon. Some of the storms could produce heavy rain. Mostly cloudy, with a high near 60. Breezy, with a south wind 18 to 23 mph. Chance of precipitation is 40%. New rainfall amounts between a tenth and quarter of an inch, except higher amounts possible in thunderstorms. Showers and possibly a thunderstorm. Some of the storms could produce gusty winds and heavy rain. Low around 55. Windy, with a south wind 24 to 26 mph. Chance of precipitation is 90%. New rainfall amounts between a half and three quarters of an inch possible. Showers and possibly a thunderstorm before 2pm, then showers likely. Some of the storms could produce heavy rain. High near 62. Breezy, with a south wind 21 to 23 mph. Chance of precipitation is 100%. New rainfall amounts between a quarter and half of an inch possible. Showers likely, mainly before 8pm. Mostly cloudy, with a low around 51. South wind 8 to 16 mph. Chance of precipitation is 60%. New precipitation amounts of less than a tenth of an inch possible. A chance of showers, mainly after 2pm. Partly sunny, with a high near 60. Chance of precipitation is 30%. A chance of showers before 8pm. Mostly cloudy, with a low around 49. Chance of precipitation is 30%. A chance of showers. Mostly sunny, with a high near 58. Chance of precipitation is 30%. A chance of showers. Partly sunny, with a high near 58. Chance of precipitation is 30%.